After an exciting afternoon meeting David Berg, attorney and author of Run, Brother, Run, we packed up two cars and headed for Nacogdoches! 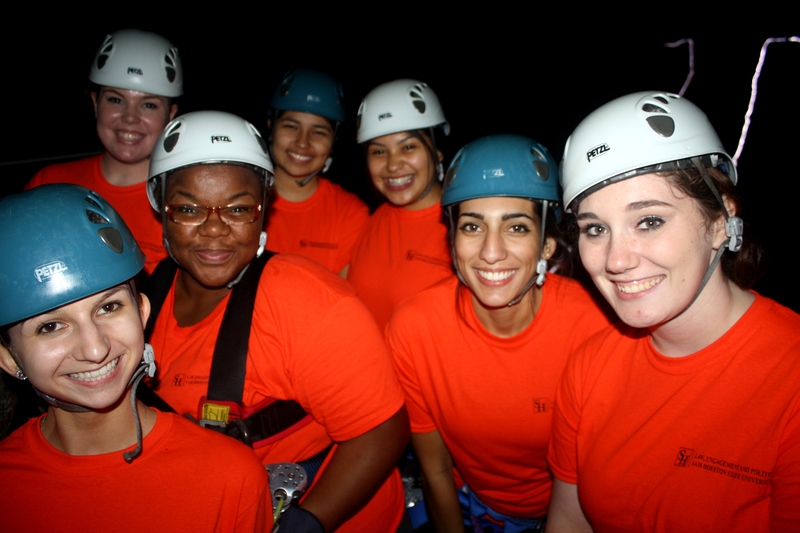 We could feel the excitement build the closer we got to Nacogdoches, anticipation of our observation of a Moot Court Scrimmage and, more immediately, an adventurous evening of zip lining. 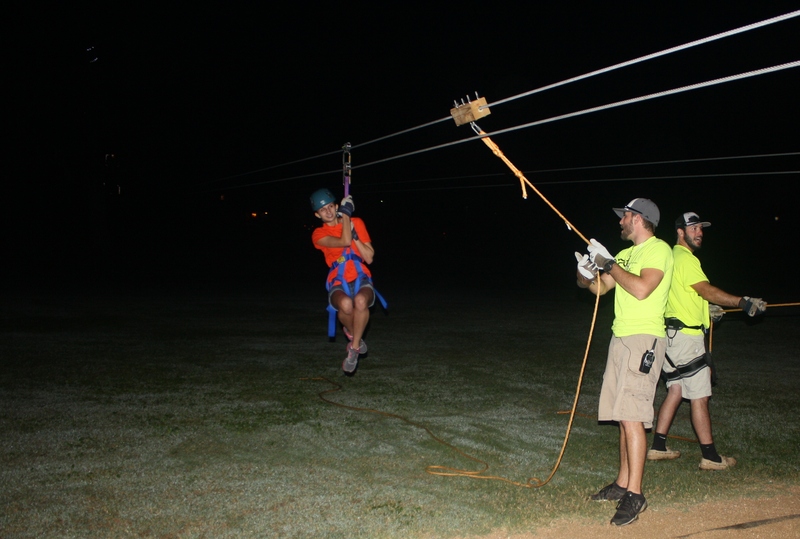 We arrived in Nacogdoches around 7:10pm and headed for the Zip Line course, ZipNac. 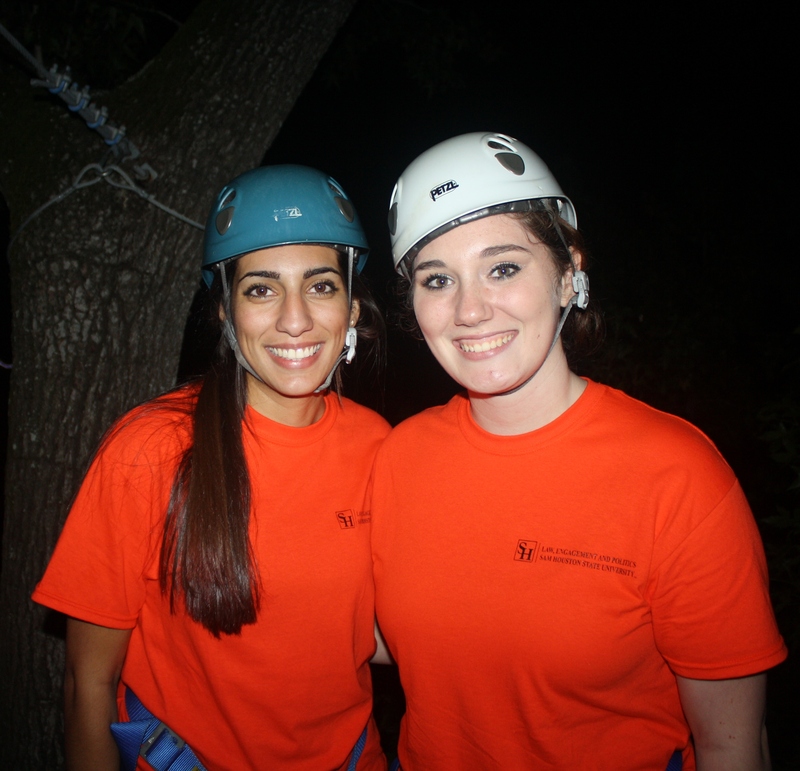 The tour guides quickly suited us up and instructed on how to use the equipment safely and the proper procedures for a fun zip line. It was exciting to say the least. 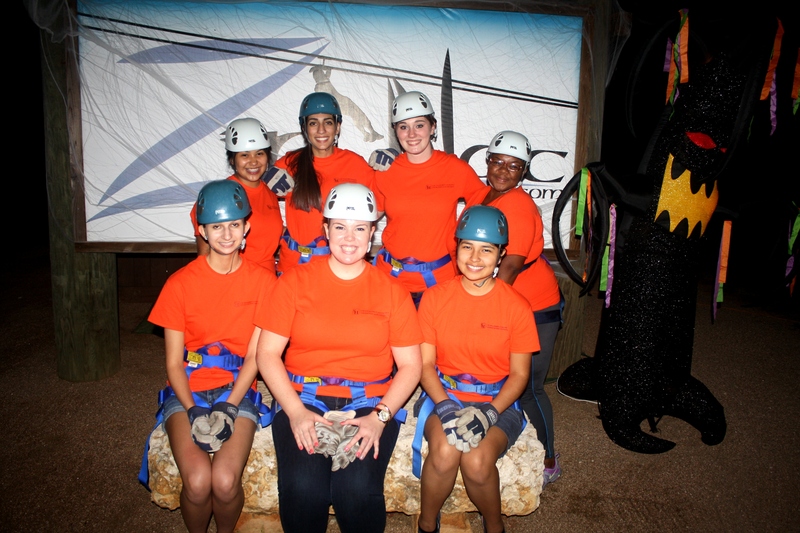 LEAP Center Students Ready to Zip Line! 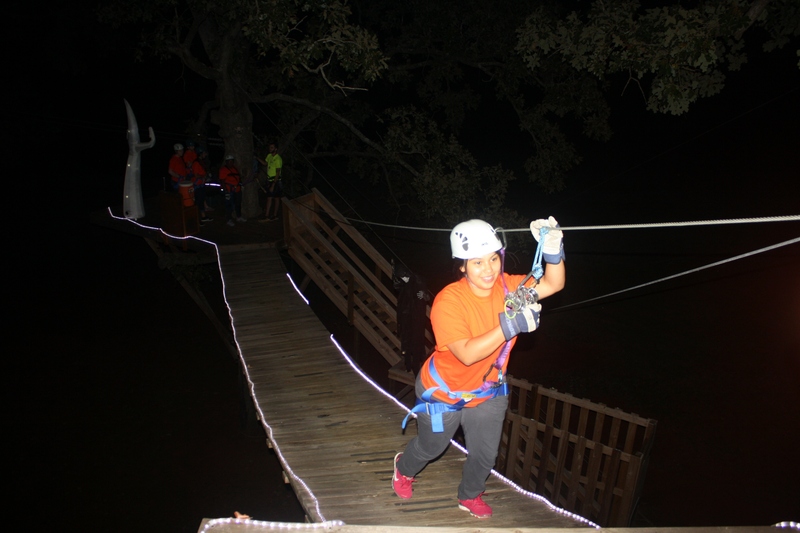 I won’t forget the adrenaline rush I felt on that first drop down or walking over a suspension bridge in the dark. 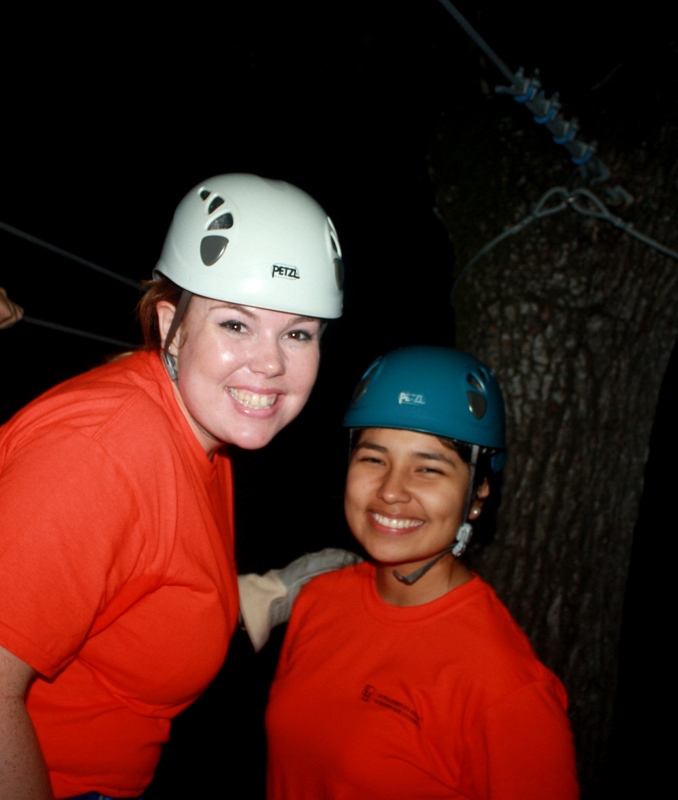 …or Constance Gabel and Jessica Martinez…. …we all had a great time. 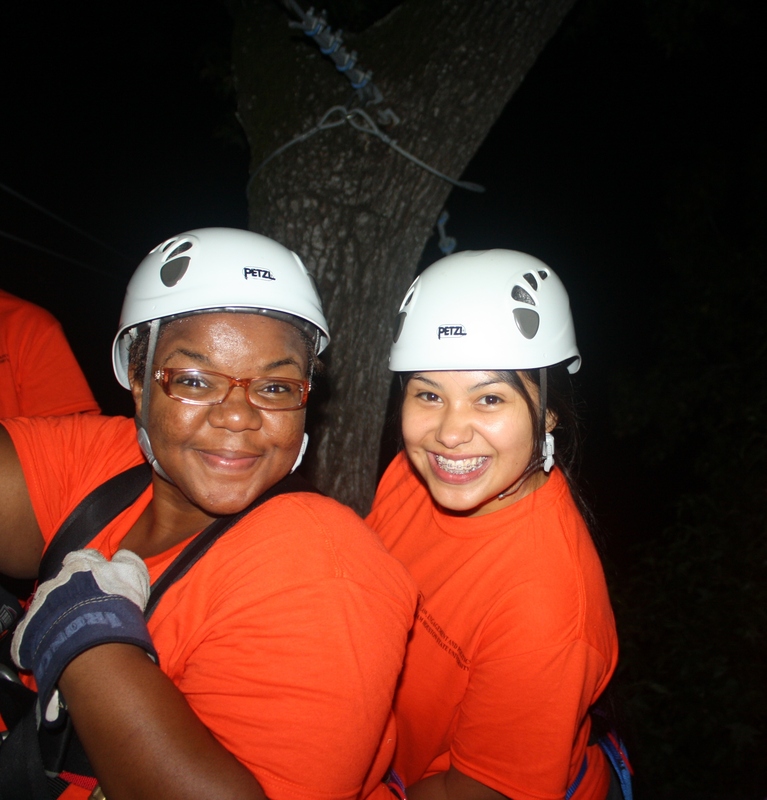 After zip lining we made our way to a local restaurant called Jalapeno tree, to enjoy a nice Mexican dinner. The appetizers consisted of chips, salsa and queso. My main course was chicken enchiladas, homemade rice and charro beans. The food was authentic and very delicious. At the restaurant we met with Gene Roberts, an attorney who is the Director of Student Legal Services at SHSU. He is in Nacogdoches to judge the Moot Scrimmage, and he will be helping us understand what to expect at the scrimmage, how the performances are judged, and tips for law school. 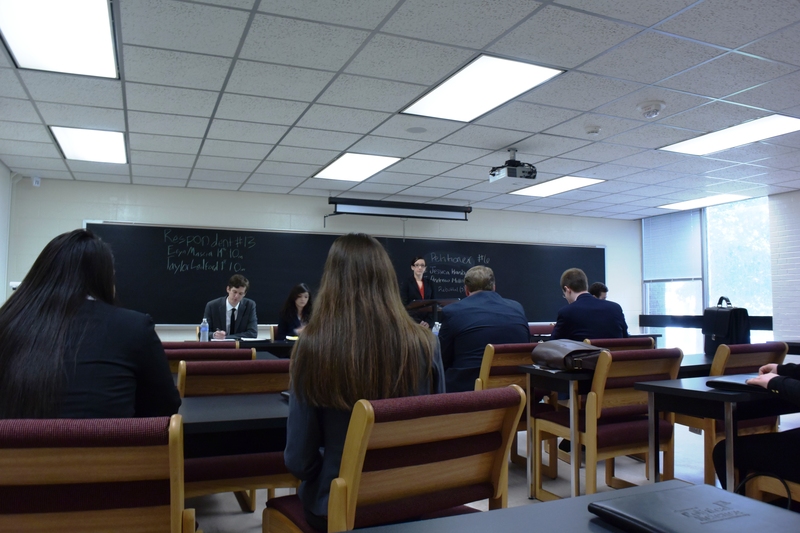 …After a short night of sleep, we were able to watch numerous Moot Court Scrimmages, which turned out to consist of a series of intriguing contests. In all, we watched four contests. The morning contest was the most competitive. The students were highly skilled and very knowledgeable. The speakers displayed knowledge of the material, confidence, and spoke articulately about the legal matters they have been given to study. It could have been intimidating. The second panel wasn’t as intimidating. The students struggled at times to articulate their ideas and occasionally seemed to struggle with the facts of the case. We learned later that we had seen the most and least prepared of the students, giving us a strong sense of the range of competition at these events. 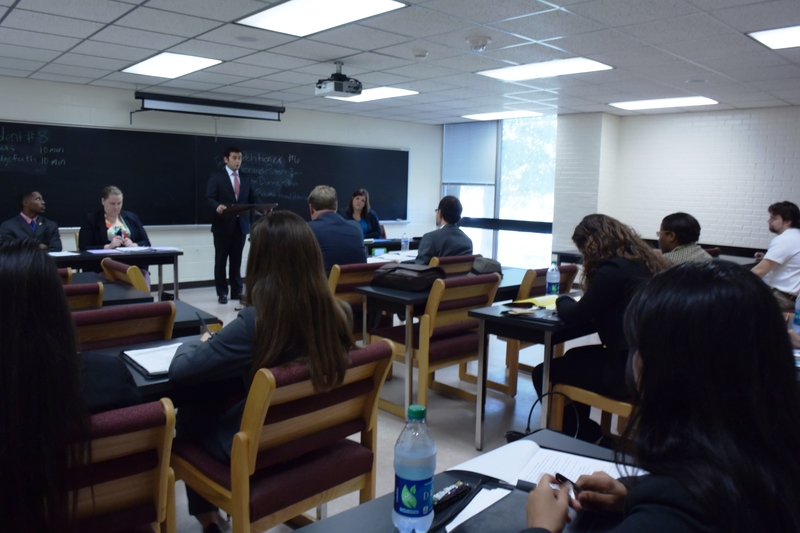 A moot court competition is designed to mimic the appeals court process. Incidentally, the LEAP Center hosts four trials from the 10th Court of Appeals on campus every year, so many of us had seen that action. What we hadn’t seen was students try to replicate the work of appeals attorneys. Even the students who struggled helped us understand the process and, as always, we sympathized with those who have speak in public, a difficult task in almost any circumstance. The afternoon groups fell within the range we had seen in the morning, and all of the teams taught us something about the law, the process of the moot court scrimmage, and ourselves. We are particularly grateful for Dr. Donald Gooch, the pre-law advisor at SFA, and Gene Roberts. Following our observation, the general consensus was that we should form a Moot Court team at SHSU, and that many of us were game for the competition!